With your donation, you will help EFGS provide the unique French programs you desire for your children’s education. Thanks to your pledges and donations, we reached our goal! 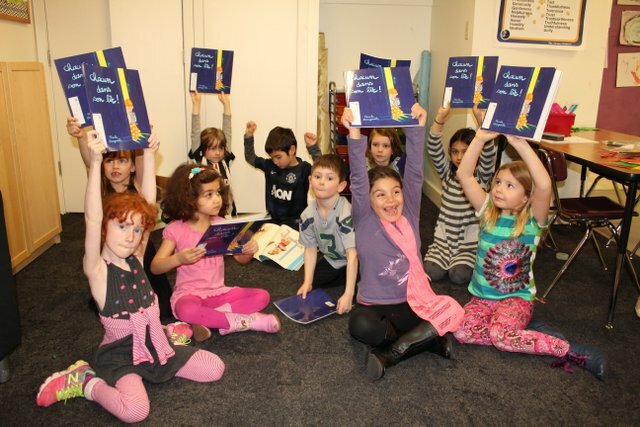 EFGS has become a solid educational option for francophone families. Since we started in 2009 with just 30 students, we have strongly adhered to our mission. Our tuition cost remains low, we have consolidated our curriculum, and established strong relationships and partnerships within our community. We have also been able to continue to grow to our current size of about 170 students with a very limited budget, and with a high-level of engagement from board members and volunteers. Hire and confirm our Program Director, Céline Bressler, as a part-time staff member to effectively manage operations. Align as much as possible our salary system with the market to maximize staff retention. Invest in the development of a dedicated program for middle school students. After counting for years on the dedication of the board and, in particular Vincent Bersagol, to manage our enrollment, we invested in a new registration and class management tool that will first be used for the 2018-2019 enrollment. Next, we are looking into legal consulting options and adding a new member to the management team to support the growing needs of the organisation. We thank you for your commitment to EFGS! Hire a part-time accountant and technology consultant, since this work has been completed by Board Members pro-bono. Donations to the Annual Fund are "unrestricted" and go towards the current fiscal year budget and will be used during the school year in which the donations are made. WHAT AMOUNT SHOULD I GIVE TO THE ANNUAL FUND? An average gift of $60 per student would help us reach our goal. However, we recognize and understand that this may be beyond the abilities of some families, and some families may be able to give much more. Above all, please know that EVERY gift to the Annual Fund is needed and greatly appreciated. We are truly grateful for your contribution. Why do you need all families to give? By making a gift, you are not only investing in EFGS' present and future; you are also showing our corporate partners a vote of confidence, and helping to ensure that EFGS receives support from them. is my donation tax deductible and what is your federal tax id number? Yes, all donations are tax-deductible for the full amount less the value of any goods and/or services received. EFGSeattle is a WA 501 (c) 3 Non-Profit Corporation, Federal Tax ID 26-4696797.